CONCORD, N.C. — The Hertz Corporation, one of the world’s largest vehicle rental companies, has joined 12-time NASCAR Cup Series champions Hendrick Motorsports as a primary sponsor of leading rookie of the year contender William Byron and his iconic No. 24 Chevrolet Camaro ZL1 team beginning in 2018. As part of the two-year agreement, Hertz will be primary sponsor of the No. 24 team in four points-paying Cup Series races in both 2018 and 2019 and an associate-level partner in all other events. Additionally, Hertz will sponsor Byron in the non-points 2018 NASCAR All-Star Race weekend events at the driver’s hometown track of Charlotte Motor Speedway. The Hertz Corporation operates three leading rental car brands — Hertz, Dollar and Thrifty — each dedicated to supporting travelers with top-rated vehicles and exceptional customer service. Hertz offers an array of products and services, including the award-winning Hertz Gold Plus Rewards® loyalty program, which provides a fast and seamless rental experience, as well as Ultimate Choice®, which allows customers at more than 55 top U.S. airports to choose the car that is right for them. Hertz also has a large and diverse fleet featuring a mix of vehicles from the company’s Adrenaline, Dream Cars®, Green Traveler and Prestige collections. Byron, 20, leads the 2018 Cup Series rookie of the year standings after 12 races. 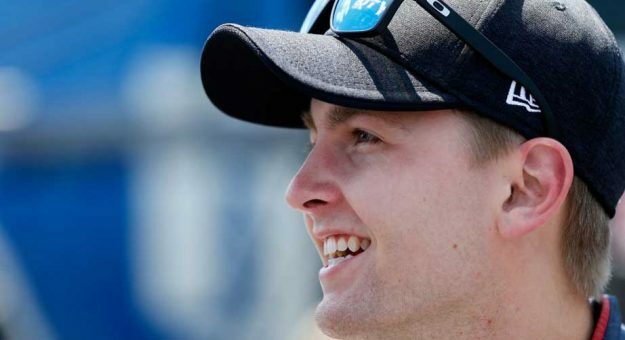 The Charlotte, North Carolina, native is coming off winning the NASCAR Xfinity Series championship in 2017 — a season that included wins at Iowa, ISM Raceway and the historic venues of Daytona and Indianapolis, where he became the youngest winner of a major race in the track’s 108-year history.